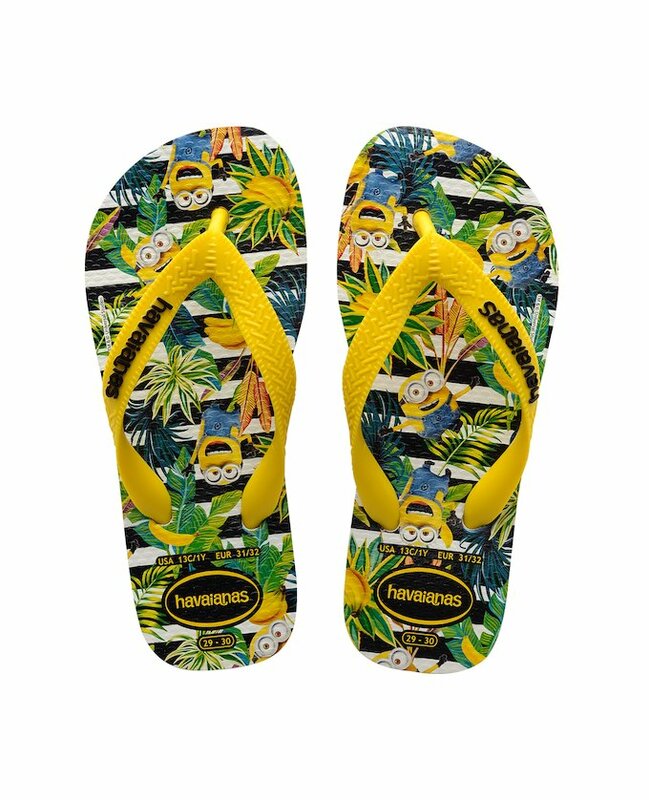 The Minion edition of Brazil's original and authentic flip-flops. One of the funniest and most amusing models of Havaianas. This version comes in a yellow print showing two pantless Minions surfing with the message "no pants, no problem".